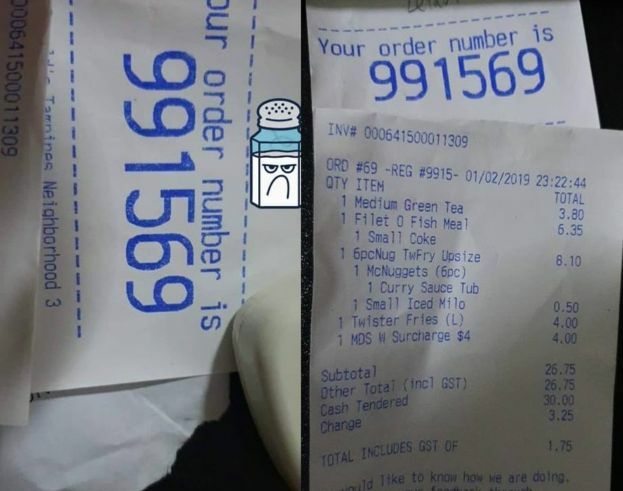 Threatened by Mcdonald’s call centre staff MS Lxxx ( i am kind enough not to post ur name as i dun wish u will get disturb call but i am still upset as u shouldn’t threathen me that you will get the manager to Kill me… this incident happen around 11.45pm. Not my day not my dinner.. Ms Lxxx u spolit everything) fyi i place the order around 10.15pm via online. i ask her if she help me to check why my order is taking “FREAKING” long. She shouted back i scolded her vulgar language. I was taken aback i repeat again and ask her the word “freaking” is a vulgar word???? She kept quiet n no respond. I told her ok can u get ur manager to call me. i am pissed off I told her i just called to check on my order n u are telling me u getting someone to kill me. I told her i felt threathen n i will lodge a police report as my family safety is very important n she was very rude over the phone l was told by her the call was recorded. BRAVO 👏👏👏pls dun delete or amend any part as i will want an explaination. When the delivery uncle arrive I think he is from china but he is really nice uncle… I spoken to him in english but realise he dun really understand n i then talk to him in chinese. Uncle i am sorry if i am kind of rude to u earlier as i really lose my cool earlier.. i knew it’s not ur fault. I even apologise to him if my tone was not tat nice n explain why i lose my cool. i uncle offer to call the store manager. I dun know if i am being too dumb. I told the manager the whole story n his reply was Ms Lxxx is a malaysian so maybe she uses a wrong word n misunderstand the word freaking. OMG so i ought to be insulted n threathen she will get the manager to kill me. I hope they reflect how could a service agent uses such word ” KILL” n insulted me when i DID NOT EVEN use vulgar word against her.. i was just stating “FREAKING LATE” SINCE Ms Lxxx CLAIM THE VOICE WAS RECORDED on the other end.. PLS PLAY TO THE PUBLIC WHAT you” MS Lxxx” HAD SAID n when i use vulgar words on you n YOU ARE THE ONE STATING THIS SENTENCE “I WILL GET THE MANAGER TO KILL ME” . I will never place order online as someone will come after my life or my family… My family is too dear to me NOT WORTH TO BE MURDER OVER $26.75. Ended up all the foods is back in fridge not as no one had mood to eat.